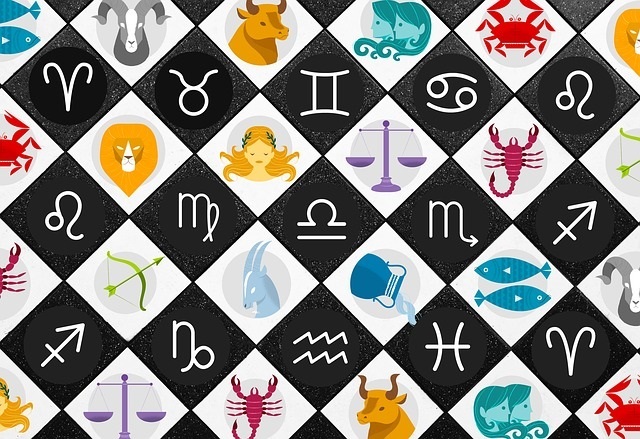 Your forecast for the week of June 18 | Wisecrack Zodiac: Your Snarky Guide to the Stars! Aries: Your life is an open book, but it’s less “War and Peace” and more “Green Eggs and Ham.” It doesn’t take long to read, but hopefully you’ll find someone who doesn’t bend the pages or use it to level up the kitchen table. Taurus: This summer has been so dull, you’re jogging in place on the shag carpeting just to feel a spark or two. Grab some bacon-scented massage lotion and find a hot tomato. It’s your choice whether to get toasted or not, but you will make sandwich history if you double-stack. Gemini: Some days Karma slaps you around, other days it ties you down and tickles you with a feather. Remember your safeword on Tuesday, unless you’re into a long medley of David Bowie hits performed by a 14-kazoo and ukulele band with a guest tuba. Cancer: You have an idea, but before you put it into action you need to answer a few questions: How well does the couch bounce? Do ferrets make worthy pilots? Will your sweetie make you sleep in the garage permanently if you snag the trampoline on the ceiling fan? Good luck. Leo: Claiming you can see into the future takes some pretty big crystal balls, but unless you’re bringing back lottery numbers and sports scores, no one really cares. At least you’re enjoying the next five seasons of “Lucifer” before everyone else. Virgo: If you’re tired of being alone, lower your expectations. That hottie in the magazine is so airbrushed, their driver’s license picture is practically van art. Go for someone real, fleshy, and who knows when to laugh inappropriately in front of your relatives. Libra: You have an awkward moment when you meet a new friend in person and tap their face to see their profile. Don’t worry, the 12-step digital addiction course is available online. With the ads and auto-play videos, it totals about 361 steps. Scorpio: On Monday, you’ll encounter someone built like a brick Excel spreadsheet. Sure, that rack of rows has cells in all the right places, but check out the formula before you pull those hot columns over or a nasty STD can sneak up your USB port. Sagittarius: At last, someone has the chance to walk a mile in your shoes. Try not to smirk when they slip those sandals on, trip over their own feet and roll down the hill into a chocolate fountain. Capricorn: On the road of life, you’ll meet people who can point out the onramps to success, self-esteem and happiness. You’ll also meet your share of potholes. Guess which one is showing up on Wednesday. Aquarius: You are the love child of Murphy’s Law and the Worst Case Scenario; is it any wonder your bright side is lit with a 10-watt bulb? If you want to tackle a positive attitude, cover yourself in bubble wrap first. Pisces: Whoever said there are no shortcuts to success doesn’t know the quick route through the kitchen and behind the supply room. Remember, keep low and bribe the chef.